I read this article and found it very interesting, thought it might be something for you. The article is called Do More with PowerPoint – and Do It Quicker! and is located at https://www.presentation-guru.com/do-more-with-powerpoint-and-do-it-quicker/. 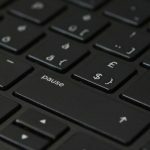 In a recent article, 5 PowerPoint Hacks That Will Make You Look Like a Pro, I rather flippantly dismissed keyboard shortcuts as a great intention but really just a bit of a pain to learn. That might have sounded like it wasn’t worth even bothering, but I have to eat my words now. A little searching around the web has revealed the most useful list of shortcuts I have yet come across. In true BrightCarbon fashion, not only have they produced a list, but also added visuals to help you remember! It just goes to show the power of the visual in aiding memory. For the first time ever, I think I actually stand a chance of remembering some of these (and goodness knows, I want to – it’s made me realise just how inefficient I have been up to now). If you want to download the Shortcut Cheat Sheet, head over to PowerPoint Keyboard Shortcuts: Productivity Increased! now.